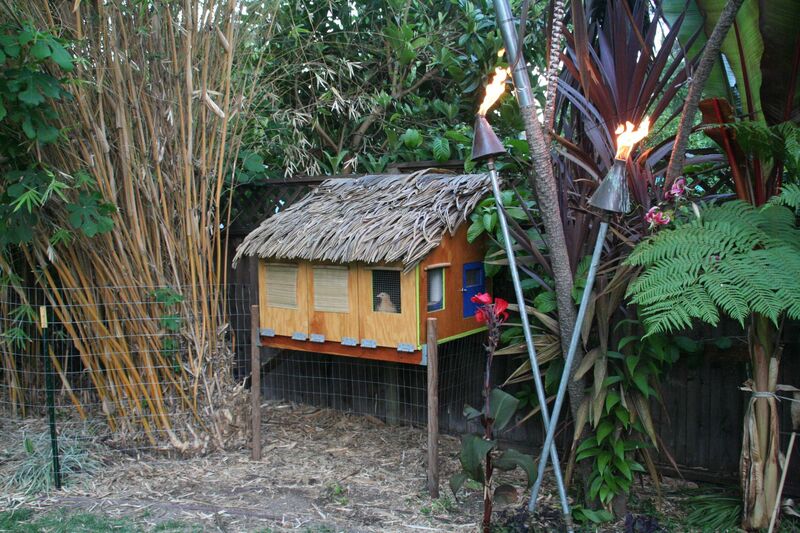 Description: This coop complements the palapa which covers the outdoor bar in our tropical backyard. It is modeled after the over-water thatch-roofed huts you find in the tropics. 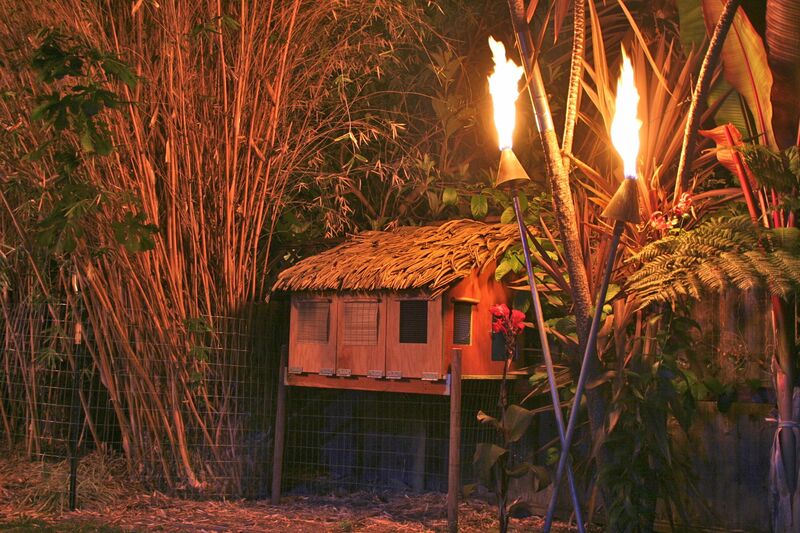 We designed and built it ourselves, using reclaimed lumber, bamboo from our garden, and plastic thatching. It houses three young hens: A White Marans, a Buff Orpington, and a Silver Laced Polish.